Up close and personal. 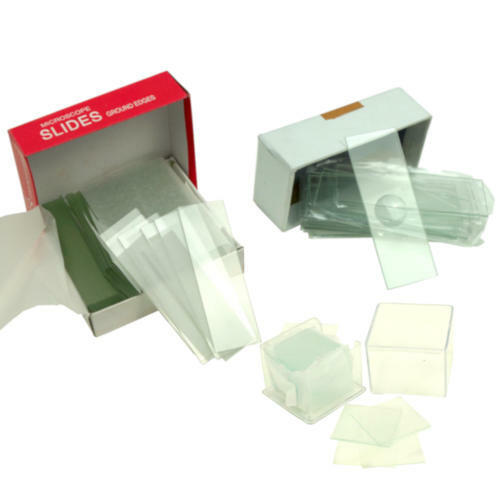 From My First Lab™, these prepared microscope slides are Biology 101 in a box. 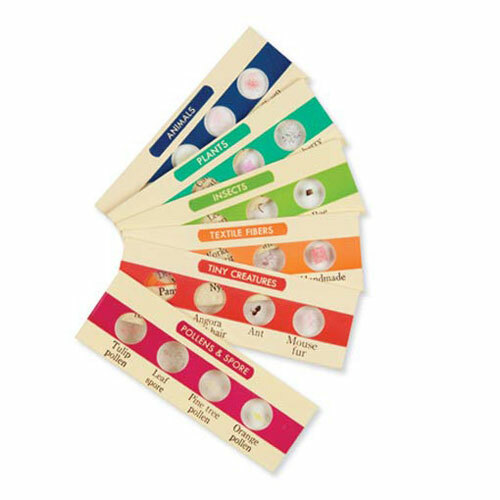 Fungus slides (“Fun Guys”) have bread mold, penicillum, lichens, mushroom and yeast samples. 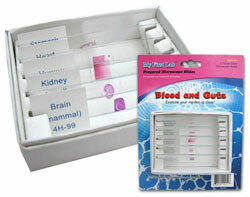 The guts group has human stomach, heart and blood, plus brain and kidney cells from a small mammal. For ages nine and up. 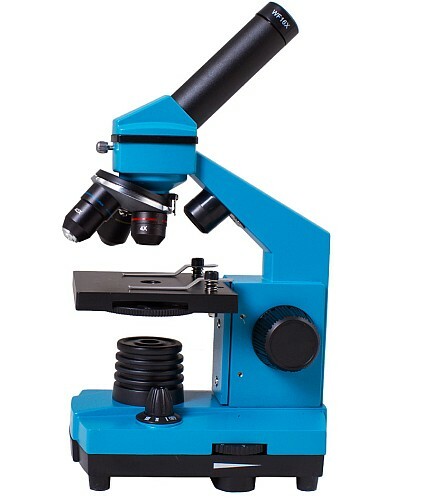 From Levenhuk®, this Rainbow Plus student biological microscope has a 16X eyepiece; magnification of 64X, 160X and 640X; dual adjustable LED illuminators; adjustable iris; and coarse focus. 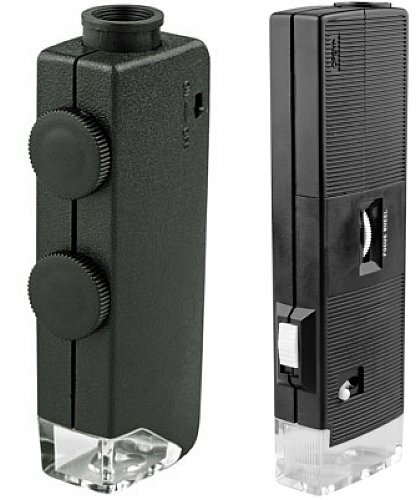 Can be powered by (3) “ AA”s or the included adapter so you can do microscopic viewing in the field or at home. 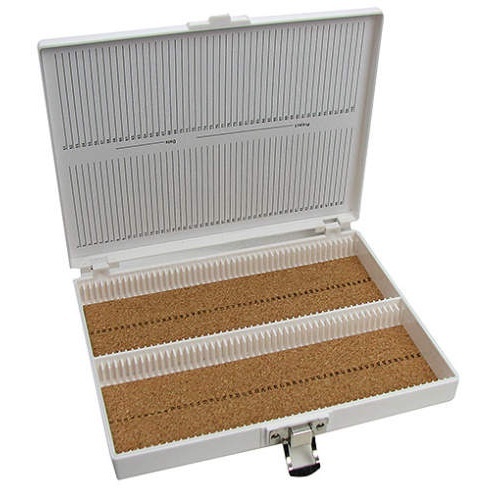 Includes the K50 experiment kit with specimens, forceps, slides, pipette, brine shrimp and more, along with an overview booklet and user’s manual. Metal body with glass optics. Has a lifetime warranty through the mfr. 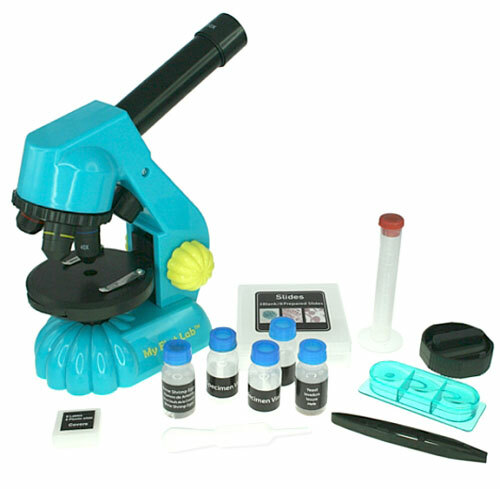 Mini scientists need appropriately sized lab equipment, and, what a coincidence, we have a Mini Duo Scope from My First Lab™ with your kid's name on it. 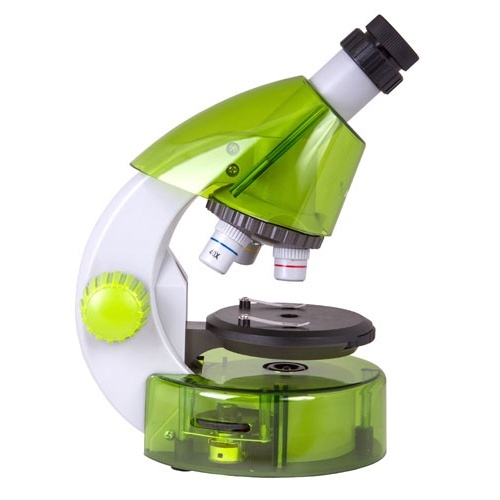 It's two microscopes in one, and won Creative Child Magazine's 2015 Product of the Year Award. 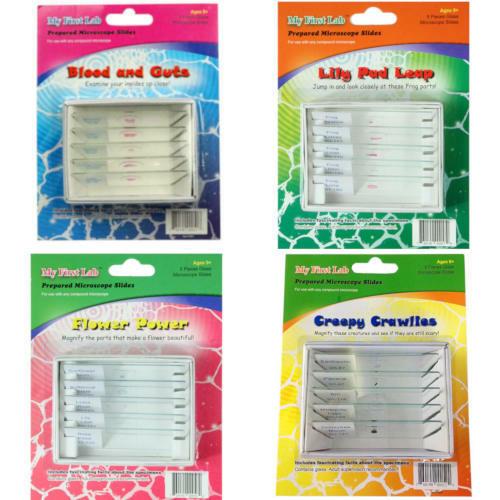 Has 40X, 100X and 400X magnification, top and bottom LED illumination, and includes more than (40) pieces and accessories, including brine shrimp eggs and yeast specimens. Ages 8 and up, and requires (2) AA batteries. Today, the Mini Duo. Tomorrow, the Large Hadron? Hey, it could happen. 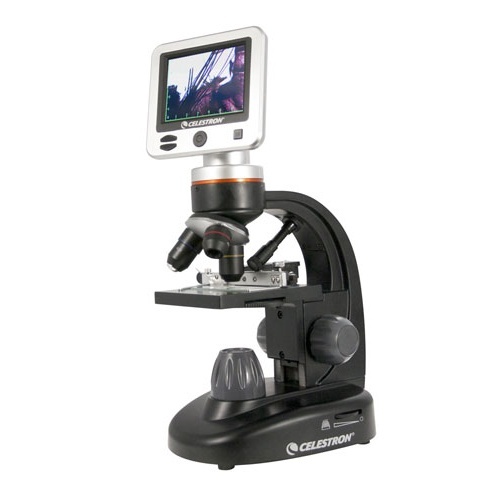 Our newest Celestron® compound (biological) microscope is even better than the last one we offered. This one comes with a 3.5" color LCD viewing screen that rotates 180° for easy sharing in a lab, classroom or at home. It has an upgraded 5-megapixel camera that can record 625 hi-res photos or 20 minutes of 30fps video to the included 1GB SD card. The 4X, 10X and 40X objectives provide 40X, 100X and 400X optical magnifications, and the digital zoom raises it up to 1600X. On-screen, button controlled settings allow you to easily adjust exposure, image effects, a digital measuring reticle and other visual tweaks. 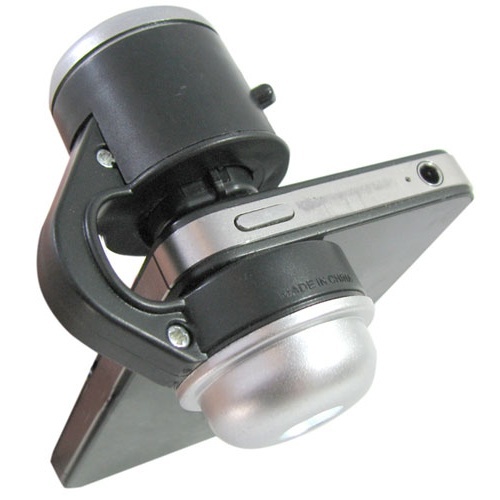 Top and bottom independently adjustable LED illumination and a built-in 6 position filter wheel allow complete light adjustability. Also included are an AC adapter with 3 extra European adapters for those who travel, (5) prepared slides, USB and video out cables and a rigid lined 15" x 7" x 8.5" OA carrying case with a suitcase-handle and shoulder strap, for storage, field work or classroom visits. Carries a 2-year manufacturer's warranty. A recipe from the Elizabethan Cable Food Network? 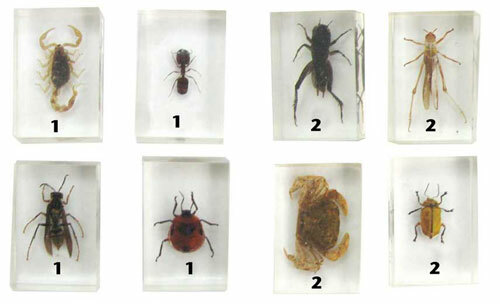 No, just a couple of samples from our collection of (48) specimens preserved for your classroom examination, with (4) well-labeled specimens on each of (12) standard-size slides. 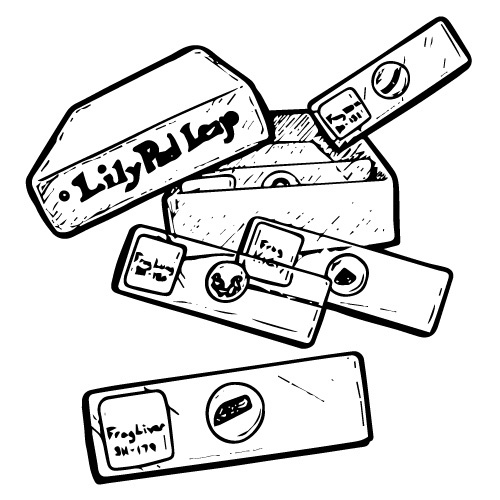 You get animal, plant, insect, textile, and pollen and spore specimens, including camel hair, camellia leaf, plant louse, fruit fly, fern spore, bee wing, nylon, wool, lily pollen, bamboo shoot, goldfish scale, and three dozen more, including our homonymic favorite, hare hair. Grades three and up.